For ten days Typographics 2016 turned The Cooper Union in New York City into the epicenter of the type and typography world. The second edition of the annual conference was a resounding success. Attendance rate jumped from around 390 last year to almost 600 people and over 20 nationalities in the audience for the two days of lectures. Over two thousand viewers followed the presentations via live stream. Many joined the workshops and studio visits in the days before the lecture program. The two walking tours in Brooklyn with Alexander Tochilovsky and Coney Island with Dan Rhatigan on Sunday were fully booked. Fortunately the lettering walk enthusiasts who missed out could participate in an off-conference tour of Newark with Paul Shaw. From Wednesday until Sunday TypeLab 2016 offered a parallel schedule of specialized content covering typeface design and coding, and everything in-between. Sponsors Adobe Typekit and Google gave lunch break sessions on type licensing and Google Fonts, respectively. 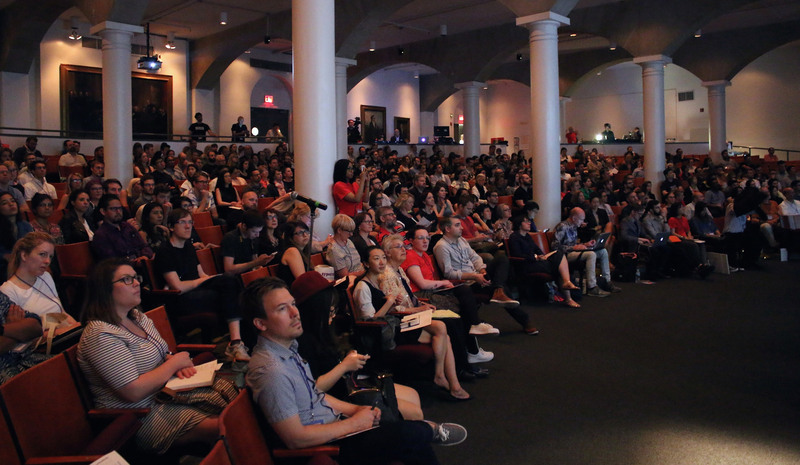 The audience at Typographics NYC 2016. Photo © Henrique Nardi. 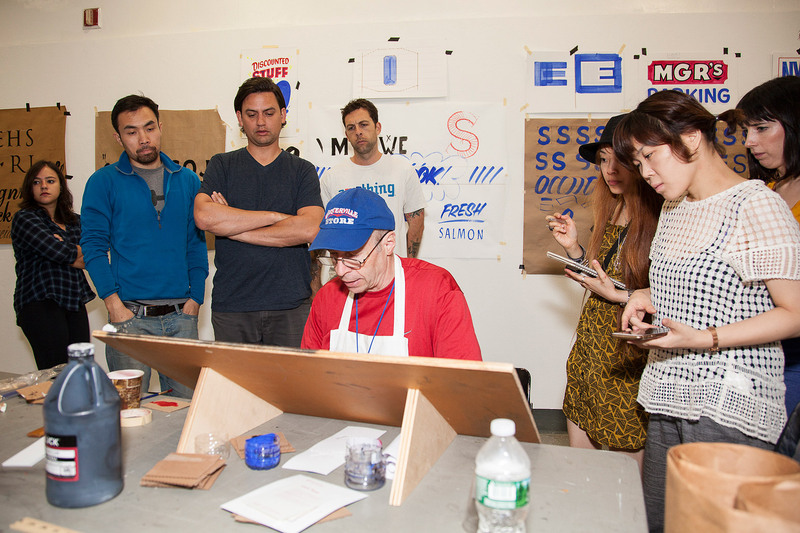 Twentieth Century American Sign Painting workshop with John Downer. Courtesy of The Cooper Union / Photo by Marget Long. More than merely a conference, Typographics 2016 was a festival, a social event. It brought together the creators and producers of type and the type users; not just figuratively, but also literally—art directors, graphic designers, web designers, typographers,… rubbed shoulders with type designers and foundry representatives during the breaks and at the social events. The conference organizers wanted to give back to the community too. Besides making the lectures viewable via live stream, co-organizer Roger Black gave the free public lecture Brand Type for Publications on the first day. And on two of its four days the Typographics Book Fair was accessible for free to the general public. The Typographics Book Fair. Courtesy of The Cooper Union / Photo by Marget Long. The conference proper consisted of an intense two days of lectures on Friday and Saturday—six half-hour presentations in the morning and five in the afternoon, without coffee breaks. This quick-fire format made for a very diverse program that moved along at a brisk pace. The single track allowed you to completely focus on the talks without feeling you missed out on anything. The speaker line-up was very varied: it consisted of a mix of seasoned veterans and young voices, of type designers and typographers, with a healthy balance between women and men. 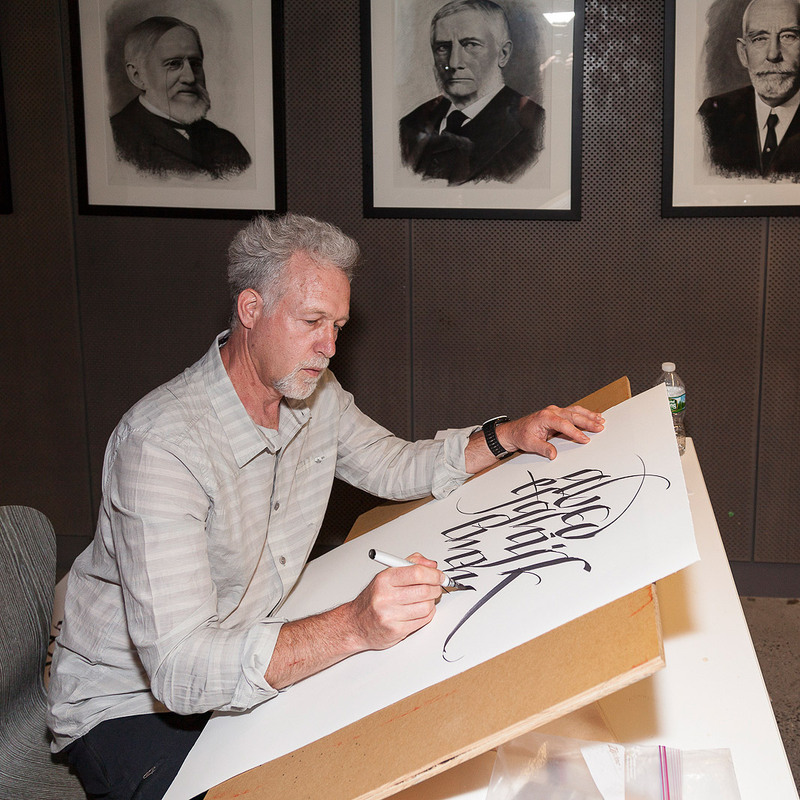 Richard Lipton demonstrating calligraphy at TypeLab 2016, under the critical eye of all the past Cooper Union presidents. Courtesy of The Cooper Union / Photo by Marget Long. 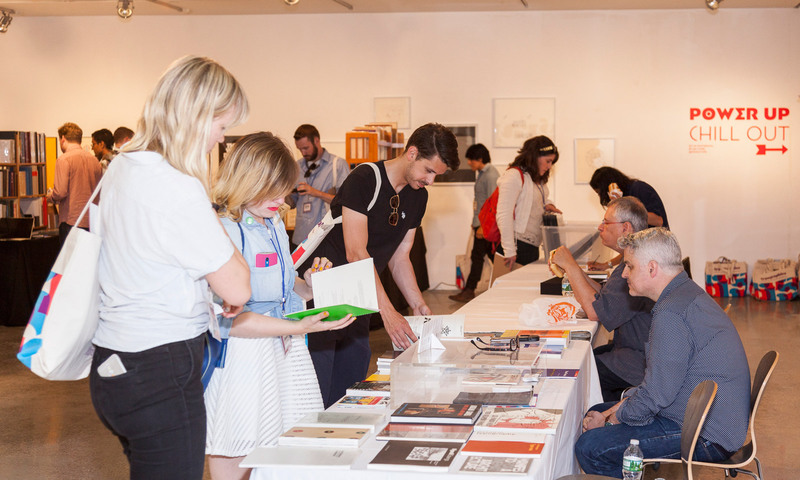 This 2016 edition introduced two innovations to the Typographics NYC conference. Instead of having questions from the audience, the viewers both in the hall and following the live stream were invited to ask questions via Twitter. The second innovation were short Spotlight interventions between talks, where people simply walked up to a microphone set up in front of the stage and addressed the audience. The topics were wildly eclectic, and the micro-talks provided entertaining interruptions in the program. 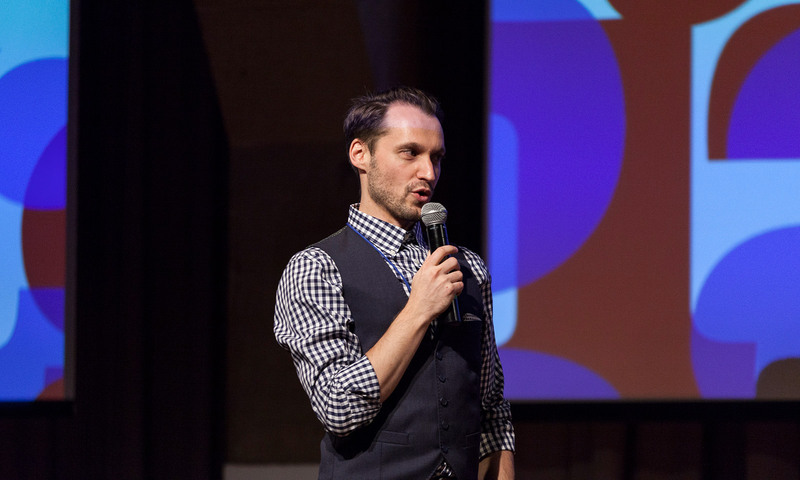 Co-organizer Alexander Tochilovsky introduces the next speaker at Typographics NYC 2016. Courtesy of The Cooper Union / Photo by Marget Long. To give a complete recap of the lecture series seems a little redundant—really, you had to be there—yet it is interesting to identify the themes that emerged throughout the program. These will be the subject of my round-up of the presentations in my follow-up post tomorrow.